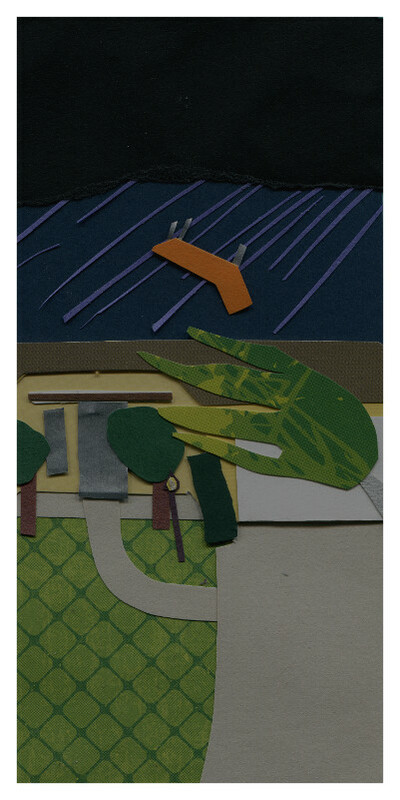 I’m in the middle of illustrating the next Middlest Sister, so I already had my scissors out when this question arose during after-dinner family-chalking hour on the front porch. So, this is what it would look like if you only had one really big toe instead of five/six smaller toes. 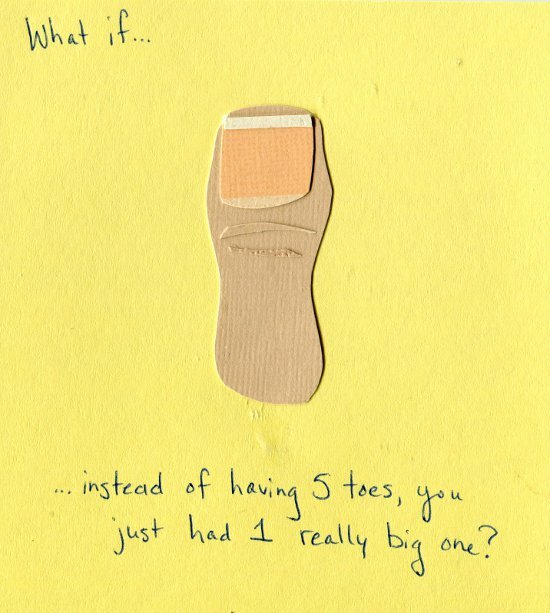 So instead of a foot, you’d just have one big toe? Nail polish is going to get in much higher demand. Also, hangnails will probably cripple you. And that is one. big. toe! I don’t think I’ll be able to get by with fifty cent clippers anymore. I’m trying to decide if that’s a good or bad thing. So far, I’m going with good. Less toe jam. I hate toes in general. I think you just drew my worst bodily nightmare outside of hair growing out of my ears.